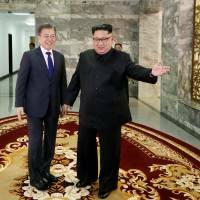 With all eyes on next month’s on-again, off-again summit between North Korean leader Kim Jong Un and U.S. President Donald Trump, Kim reiterated his commitment to the “denuclearization of the Korean Peninsula” and to a Trump sit-down, South Korean President Moon Jae-in said Sunday, a day after his secret meeting with Kim at the two Koreas’ border. “We’re looking at June 12 in Singapore. 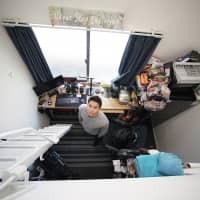 That hasn’t changed,” the U.S. president said. Trump’s comments at the White House followed the second Kim-Moon summit in just under a month Saturday at the truce village of Panmunjom, where the pair held their first meeting on April 27. Trump administration officials said they had been informed of the extraordinary two-hour meeting in advance, and indicated they remained open to a summit between Trump and Kim. However, significant obstacles remain, Moon said, noting Kim’s uncertainty about U.S. pledges to protect his regime. Analysts have said remarks by White House national security adviser John Bolton and Vice President Mike Pence urging a “Libya-style” coerced denuclearization of the North had amplified lingering concerns by Kim about his regime’s safety. 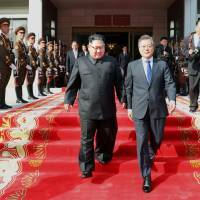 An unidentified senior South Korean official said later Sunday that the two Koreas are discussing a possible nonaggression pledge and the start of peace treaty talks as a way of addressing Pyongyang’s security concerns ahead of U.S.-North Korean negotiations, Reuters reported Sunday. 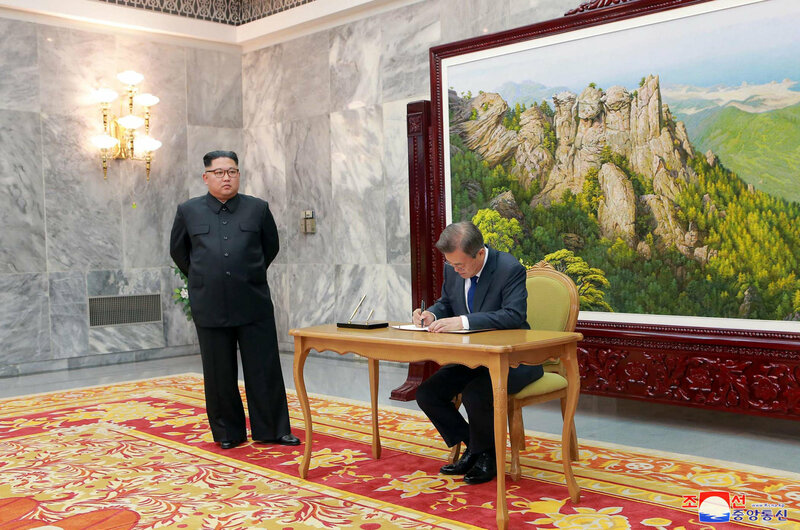 The North has repeatedly claimed it is committed to the “denuclearization of the Korean Peninsula,” but it remains unclear whether Kim will ever agree to fully relinquish his nuclear arsenal, which he views as the only thing preventing regime change. 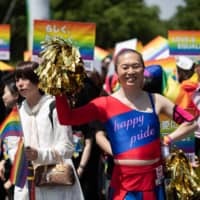 In the past, Pyongyang has been known to bandy about the phrase “denuclearization of the Korean Peninsula” to demand the U.S. remove its 28,500 troops in South Korea and pull back its so-called nuclear umbrella security commitment to South Korea and Japan. 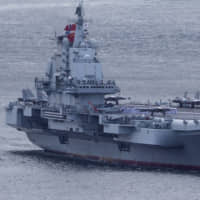 But it has not repeated those same demands amid the recent detente with Seoul and Washington. Moon has said Kim can be persuaded to agree to Washington’s demand for the complete, verifiable and irreversible dismantlement (CVID) of his nuclear and missile programs in exchange for credible security and economic guarantees. “Since both Chairman Kim and President Trump want a successful summit, I stressed that the two leaders need to settle misunderstandings through direct communication and have sufficient communication through working-level talks on the agenda to be agreed on at the summit,” Moon said, adding that Kim agreed. Asked by reporters at the end of Sunday’s news conference if Kim’s views on denuclearization were the same as the U.S., Moon appeared to avoid the question, saying that the issue remained one Washington and Pyongyang needed to iron out. “The U.S. and North Korea need to engage in working-level talks to confirm their intentions on denuclearization,” he said. 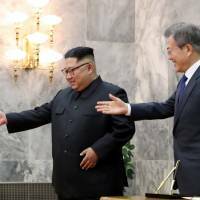 Euan Graham, a former British diplomat who served in Pyongyang and who is currently director of the International Security Program at the Lowy Institute in Australia, said Moon had sidestepped CVID for a reason, with the most likely explanation being that Kim will only commit to a phased and reciprocal approach. “Moon’s overriding concern is to get the summit back on track, because he ‘owns’ it in a way, but he also believes Kim Jong Un is seriously interested in an improved relationship with the U.S. — and Trump is an opportunity, on balance,” Graham said. 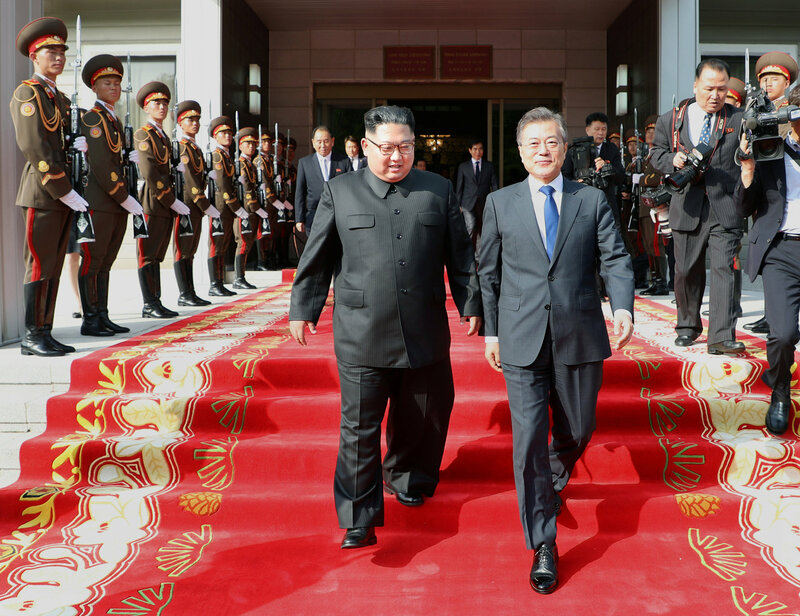 Last month’s Kim-Moon summit saw the two agree to work to remove all nuclear weapons from the Korean Peninsula and, within the year, pursue talks with the United States to declare an official end to the Korean conflict, which ended in an armistice. 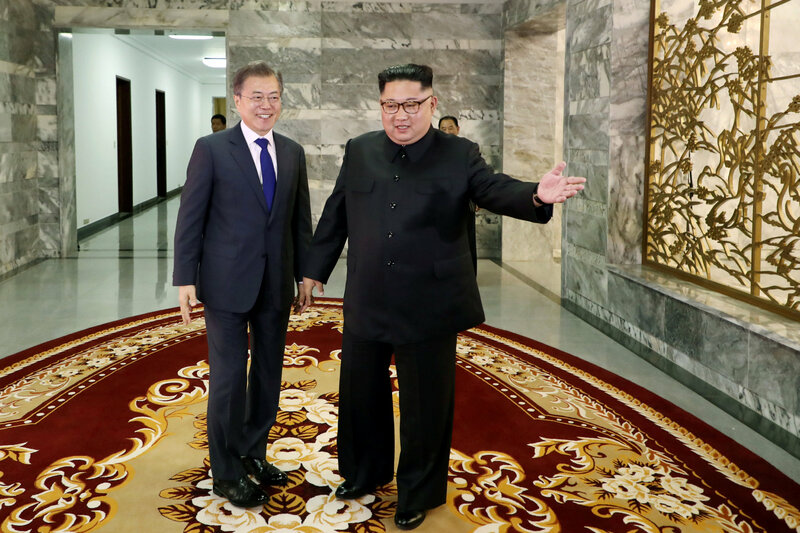 Moon said Kim had reached out to him to hold Saturday’s meeting — just the fourth-ever inter-Korean leaders’ summit. The South Korean president also said a trilateral meeting with Trump and Kim aimed at formally ending the Korean War would likely be in the cards should the upcoming bilateral summit be deemed a success. 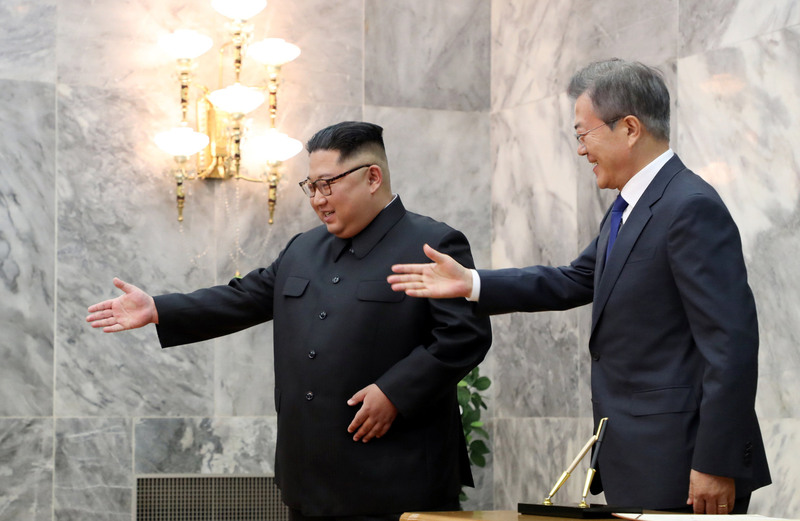 The North’s state-run Korean Central News Agency said early Sunday that Kim had “expressed his fixed will” to hold the summit with Trump, adding that the two Koreas should “positively cooperate with each other as ever to improve the DPRK-U.S. relations and establish (a) mechanism for permanent and durable peace.” DPRK is the acronym for the North’s official name, the Democratic People’s Republic of Korea. 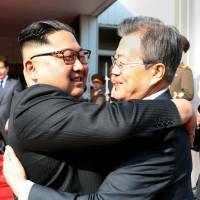 But the latest Kim-Moon summit appeared to show that relations were now back on track, with top officials scheduled to meet June 1 to set up separate talks between top generals and Red Cross officials to discuss how to ease military tensions and resume reunions of families separated by the 1950-53 Korean War. 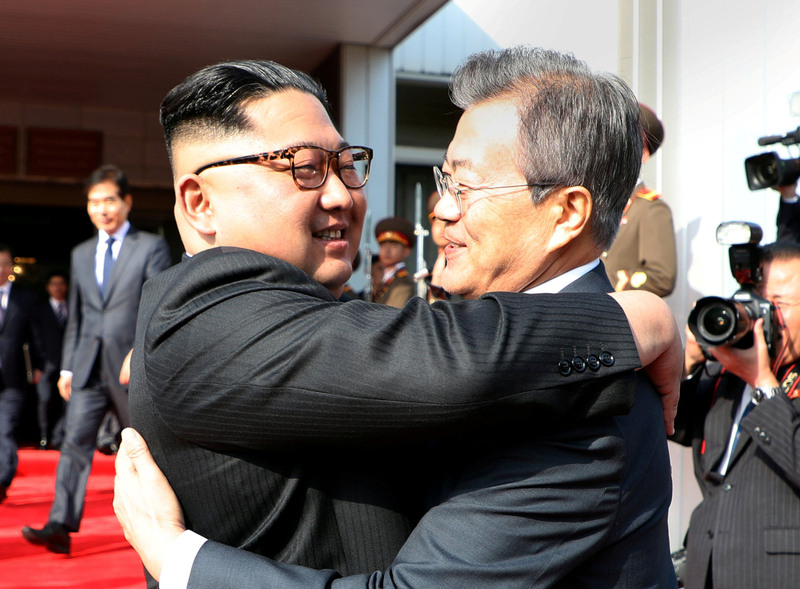 Photos and video of Saturday’s meeting released by the Blue House showed Kim giving Moon a bear hug and kissing him on the cheek three times as he saw the South Korean leader off after their meeting. Moon was also seen shaking hands with Kim’s sister, Kim Yo Jong, who has played a major public role in recent talks with the South, including leading a delegation across the border during February’s Winter Olympics in Pyeongchang, South Korea. 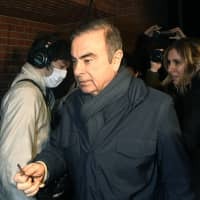 Oba expressed surprise over the North’s apparent conciliatory posture, including Kim’s push for the Moon meeting and the urging last week by Kim Kye Gwan, a top official at North Korea’s Foreign Ministry, that a Trump summit should proceed. 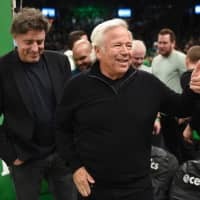 This is “an important question, one which we may never have a definitive answer to,” he added.